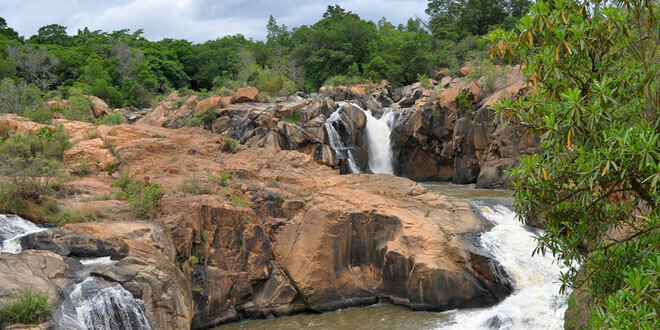 The Mpumalanga Province is home to scenic Nelspruit, which has been renamed Mbombela. The city may only have a total area of less than 73 square kilometres, but it is a popular holiday destination, particularly for its close proximity to the world-famous Kruger National Park. In fact, it has been dubbed the official gateway to this renowned reserve, which showcases an enormous array of some of Africa’s most intriguing fauna and flora. Being situated in the north-east of South Africa, Nelspruit has a subtropical climate. This means that its rolling hills and endless landscapes are verdant and idyllic. The deep valleys are laden in dense vegetation that is home to many birds and other animals. Nelspruit truly is a naturally scenic gem, and the combination of an excellent tourism infrastructure, a wide range of accommodation in Nelspruit and plenty to see and do makes the city the ideal platform from which to explore the Mpumalanga province. Nelspruit was founded by the Nel brothers in 1895. These boys brought their cattle to these tropical, fertile plains to graze and soon recognised the wondrous beauty of the land, and its potential. Before this, the San people, a nation of hunter-gatherers, occupied the region. They made the most of the pretty abundance, and practiced their deeply spiritual rituals within the sheltered crevices of the hills. Today, visitors can visit some of the mountains and caves to view the artwork left by these folk thousands of years back. Formal tours of the San art can be fascinating for the entire family. Other important local industries include paper production, the manufacture of furniture, timber mills, and fruit canning. This is the fruit growing capital of Mpumalanga, thanks to the combination of its excellent quality soil, plentiful sunshine and humid conditions. These conditions lend themselves to tropical fruits like mangoes, avocado pears and macadamia nuts. The other plant species found here are magnificent, and can be found on the various plains, as well as in the Lowveld Botanical Gardens. This is also home to the first manmade rainforests, which are spectacular to explore. The many natural attractions make for stunning surrounds when hiking, walking or cycling local trails, for those with the inclination to get out and about. The Sudwala Caves – dated at about 3 800 million years ago, there are formal tours of these ancient formations. The amphitheatre here has hosted a number of performances and is breath-taking in its magnitude. The Sudwala Dinosaur Park – with its prehistoric theme and mammoth, life-sized models of ancient dinosaurs, this park is ideal for young and old alike. Within the realistic habitat, this is an exciting exploration of the giant predators and prey that once inhabited the earth. The Crocodile River Reptile Park – this s the largest reptile park on the continent and boasts a wide variety of exciting animals – including spiders, reptiles, lizards and scorpions. There are fantastic picnic facilities, as well as a desert house and a tropical house. The curio shop is well stocked for those wanting keepsakes and gifts. Local events in Nelspruit, which are popular for visitors from all over the world, include the Lowveld Show, the Lowveld Agri Show and the Innibos Arts Festival.